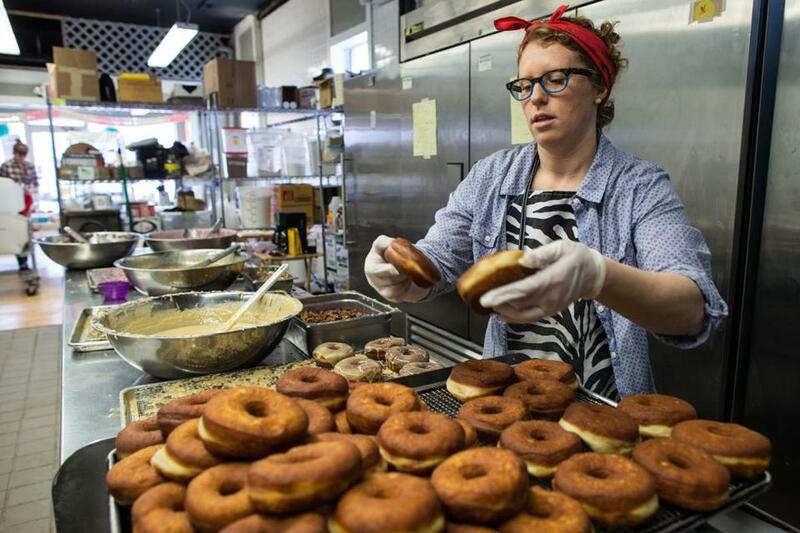 Dawnielle Peck prepared doughnuts at Union Square Donuts in Somerville. Somerville didn’t get the best of its last run-in with urban renewal. Waves of renewal efforts came for Somerville’s southeastern neighborhoods a half-century ago, first in the form of widespread clearance for a doomed highway, and later in spurts of construction that deposited islands of suburban-style strip malls and industrial parks around the city’s tightly packed residential neighborhoods. The old brand of urban renewal was a top-down force that focused on demolishing and building structures. And it left behind some of Somerville’s worst spaces. As Somerville prepares for the first phase of the long-awaited Green Line extension, it’s looking to turn that old urban renewal model on its head. The city is embracing the legal powers of urban renewal to overhaul its Union Square neighborhood, but in a way that’s deeply grounded in the existing community. In the process, Somerville is demonstrating what modern city-building looks like: locally focused, reliant on public transit, and grounded in entrepreneurial culture. The Green Line has been heading to Somerville for forever. The rail project is mitigation for the Big Dig, and it’s been on the state’s books ever since the highway tunnel broke ground. Now, after decades of delay, the train is actually on its way. The extension’s first leg, from Lechmere to Union Square, should open in 2017. The Green Line will be a game-changer for the square. Union Square is a fantastic place to be, except that it’s nearly impossible to get to. It’s Somerville’s artistic and cultural heart. There’s no better place to grab a beer or a homemade doughnut. Low-grade industrial and retail buildings ring much of the square, meaning the neighborhood has plenty of room to grow. Union Square can’t handle much new growth, though, because it’s already a traffic-choked mess. The Green Line solves this problem. It eases commuting for current residents, and opens up acres around the square for new development. The streetcars enable an intensity of uses that just aren’t possible without rapid transit. By 2030, the city projects that 17,300 new jobs and 3,600 residential units will be created around Union Square and at the upcoming Washington Street station nearby. Somerville is already deep into shaping the post-Green Line Union Square. The city has rezoned the blocks around the future Green Line terminus to accommodate large-scale residential and commercial development. It recently wrapped up a years-long citywide planning initiative. It secured urban renewal powers to transform seven key parcels around the square’s edges. 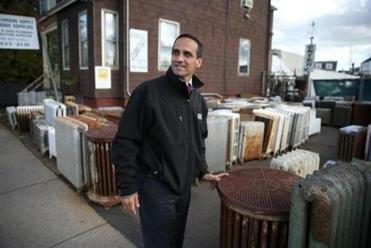 It will soon solicit bids from private developers, who will be in charge of permitting and rebuilding those urban renewal parcels. The scope of development envelopes around Union Square speaks to the drastic changes in city-building that have taken hold since the last concerted efforts to reshape eastern Somerville. Up the road, land cleared for the failed Inner Belt highway holds an industrial park that looks like it belongs in Billerica. An early 1980s urban renewal plan outside Union Square brought underutilized industrial buildings to both sides of the future Green Line tracks. Somerville’s urban renewal plan sweeps these buildings away, along with a set of single-story retail buildings in Union Square, and replaces them with dense new residential and commercial development. City officials anticipate capturing spillover development from Kendall Square. They also want to give an outlet to Somerville’s existing base of innovators and entrepreneurs: The vast majority of city residents have to leave town to work, because there’s no office space for them. In this context, industrial plots are now dead weight. Paul McMorrow is an associate editor at Commonwealth Magazine. His column appears regularly in the Globe.